The average adult breathes 28,000 breaths per day. Most of us never think about it. 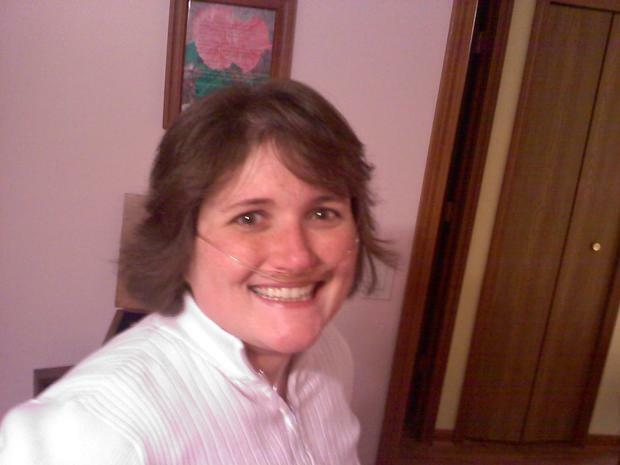 For Jennifer Turner-Dold, each breath has been a challenge. 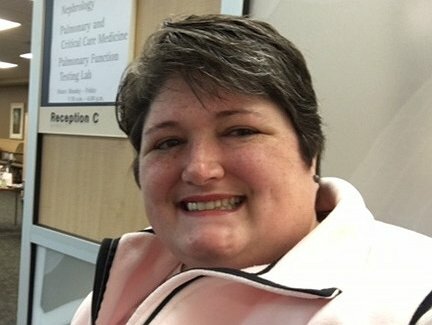 Jenn has struggled with her breathing since childhood but wasn’t formally diagnosed with Lymphangioleiomyomatosis (LAM) lung disease until June of 2010. This lung disease is very rare, and has caused cysts of muscle tissue to grow in her lungs preventing them from absorbing oxygen. 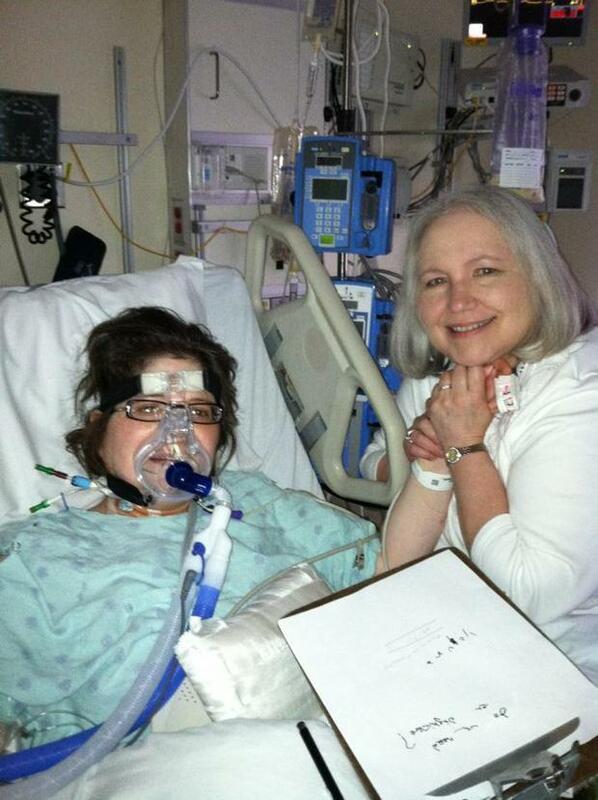 Doctors admitted Jenn at the University of Michigan Hospital on September 25, 2011 and performed a double lung transplant on February 4, 2012. We are so grateful for this amazing gift! Jenn’s new lungs are doing great but she has had several other complications as a result of the LAM and immunosuppression from transplant. These have resulted in frequent hospitalizations, testing, and specialist appointments. She has to take approximately 40 pills, 4 insulin injections,and wear a patch daily to maintain a healthy status. Jenn’s family has moved to Ypsilanti, Michigan to be permanently near her amazing health providers at the University of Michigan. Because of the demands of her health needs, Jenn has not been able to return to teaching for the American Red Cross, her role as an Emergency Medical Technician, or to full-time work. However, she has been very happy to serve as a Transplant Mentor for other Lung Transplant Recipients at U of M and a speaker for Gift of Life as her health has permitted. She is also able to work part-time for the Ypsilanti Symphony Orchestra as an Administrative Assistant. Her family is enjoying each day together as a special gift. While her organ transplantation has been life-saving, it has created life-long medical expenses. As a result, The University of Michigan Hospital’s Transplant Department has recommended fundraising. To ease this financial burden, a fundraising campaign in her honor has been established with the Help Hope Live for uninsured expenses. Help Hope Live is a nonprofit organization that has been assisting the transplant community for more than 30 years. Please consider making a tax-deductible donation through Help Hope Live to make life easier for Jenn. You may donate via check or credit card – please use the donation options on this page (select the “Donate Now” button or see the “Mailing a Check?” box) to ensure your funds go to the right place. For more information, please contact Help Hope Live at 800-642-8399. Your financial gifts will be greatly appreciated. Please view our Christmas Card Fundraiser! Orders are due by December 10, 2014. The flyer is in my photo album – “Christmas Card Fundraiser”! Or Email, [email protected] for a flyer! Thank you for your support! Thank you to everyone that made the Benefit event, nibbles & notes, silent auction, and concert such a success in November!!! Such a blessing to have your support! Enjoy the wondrous voices at your gala this evening. SO wish I could be there with you. I hope the happy event helps many others to open their hearts and checkbooks to help you. Love you! Jenn, I am praying for you every day to get the lungs you need. You are a special woman and your parents love you dearly! Hang in there. All my best wishes. Happy Valentine's Day sweet daughter! Keep that beautiful smile going ... the universe is smiling right back 7-fold! I truly feel it won't be long now. I am breathing for you in prayer with every breath I take. Lots of Love & Hugs this very remarkable Valentine's Day. Your Valentine's poster is amazing, as are you! You are a true inspiration. Despite your lengthy stay and daily hardships, I've never NOT seen your vibrant smile and positive attitude despite an adversity that I pray daily will be behind you very soon. I also pray to Jess for her continued strength, courage, and devotion as well. Jen, you are an amazing human being and I'm with Tamara, the post-transplant party will be the best party ever! I am sooo not a runner, but I have 4 and a half months to get there right? The marathon thing is a cool idea, and its been fun getting to know you and Jess so far. On with the Suite Life!!! What a great idea! Thanks for sharing with us. You are in our thoughts and prayers! You've been so strong through this huge ordeal. Keep fighting tough and I'm glad you have Jessica by your side. My thoughts and prayers are with you and I will be more than happy to contribute to your fund. Best of luck and success with your transplant and fundraisers. I love you! Together, we will jump this hurdle with flying colors. Jenn, I'll be praying that your lungs arrive sooner than later and that your body and spirit gets the relief and positive support it needs.